Analysts haven’t been this divided on a South African rate decision since March 2016 - and then the central bank responded with a hike. This time round, 11 of the 21 economists in a Bloomberg survey predict an increase in the policy rate of 25 basis points to 6.75% on Thursday. 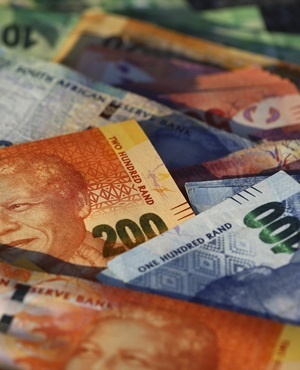 The rest are opting for a hold, given that the oil-price slump and strengthening rand have eased inflation pressures. Whichever way the monetary policy committee swings, the decision holds two-way risks for the rand, which rallied 10% in six weeks after the last rate increase. It could go the other way if the central bank stays put, according to Bernd Berg, a foreign-exchange strategist at Woodman Asset Management AG in Zug, Switzerland. "It will be a coin toss if the central bank hikes or not," Berg said. "But I see significant downside risks. A weak external backdrop, a monetary policy disappointment and weak domestic data would all weigh negatively on the rand." "It is likely that they will start to increase rates on the back of trying to get those inflation expectations closer to the midpoint rather than leaving them closely anchored to the top end of the band." "Notwithstanding the rand’s recent strength, the local unit is 14% weaker year-to-date against the US dollar. We continue to call for a 25bp rate increase to safeguard the value of the local unit and anchor inflation expectations." MPC members would want to beef up real yields in an environment where developed-market real yields could see further upside. "Rand real yields are reasonably sizable if compared to the EM average, but further caution may be required." South African Reserve Bank model will show a real-rate gap and CPI will still rise in the medium term. "Another reason to hike is credibility and preventing a sharp about-turn." "We believe that Moody’s will be forced to signal the higher risk of a downgrade with an imminent change of outlook. If the South African Reserve Bank is convinced, as we are, that this is a material risk, it could be up to tightening rates as soon as this week." South African Reserve Bank will revise its inflation forecasts for 2018 and 2019 down due to oil price weakness and rand strength. "It would be very difficult to justify hiking rates while revising their forecasts downwards." "Relatively benign inflation expectations, and the weaker local growth backdrop, supports our view for the South African Reserve Bank pausing before hiking rates." "The lagging cyclical recovery, easing oil prices and rand recovery buy the South African Reserve Bank more time to assess the state of the economy in the third-quarter GDP print and inflation momentum thereafter." No compelling signs of significant underlying upward momentum in the economy, yet MPC to delay hiking rates until early 2019.